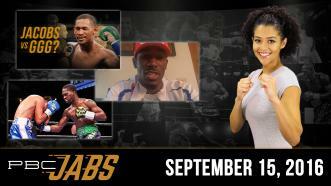 In PBC Jabs, we recap Daniel Jacobs' victory over Sergio Mora, new 135-pound champion Robert Easter Jr. calls in to discuss his future plans and Domonique Dolton stops by to preview his fight on Friday, September 16, against Justin DeLoach. 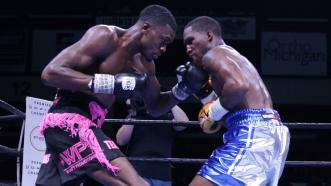 Domonique Dolton and Oscar Molina went toe-to-toe for 10 rounds and fought to a majority draw. 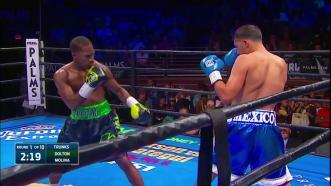 Domonique Dolton and Oscar Molina went toe-to-toe for 10 rounds and fought to a majority draw at The Pearl, Palms Casino Resort, Las Vegas. 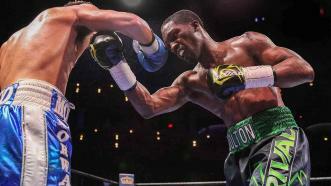 Domonique Dolton was most effective early and late in the fight, while Oscar Molina did his best work in the middle rounds, leading to a majority draw.